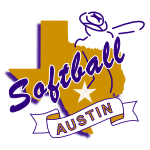 All Softball Austin games are held at the Monroe "Lefty" Krieg Complex, 515 S. Pleasant Valley Road in Austin (78741). The fields are conveniently located about seven minutes from downtown Austin. Havins Field is another Softball Field located in Austin but is rarely used for League games. Fields 1-3 are on the west side and Fields 4-5 are on the east side of the park.